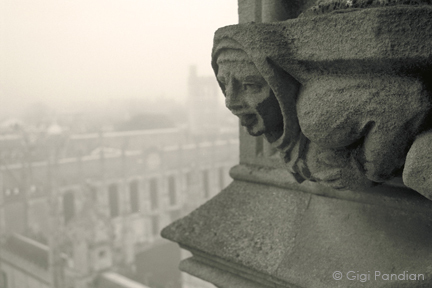 Kicking off Halloween month, aka October, here's some spooky fog. As someone who loves a good mystery, I love how fog creates a wonderfully mysterious atmosphere. It's one of my favorite things about living in the Bay Area, and it was one of my favorite things about living in the UK. 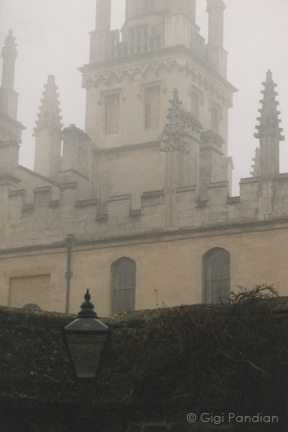 Here are some images of Oxford, England, in the fog. Cobblestone streets are definitely more fun as the fog rolls over you. 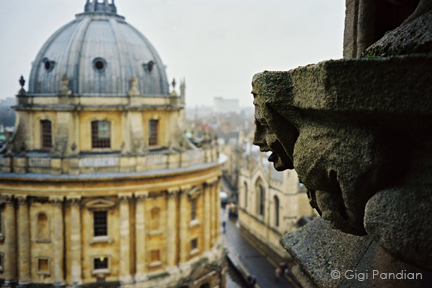 Oxford makes a great setting for a mystery novel, which is probably why so many mysteries have been set there. One of my favorites from the Golden Age of Detective Fiction is Gaudy Night by Dorothy Sayers.